Tickets available at the box office or online. Click here for more information! Student and Teacher Tickets are FREE with RSVP to 785 312 7200, or contact Laura. Volunteers needed for Earth Day Booths & Film Festival! If you can help us at either event please e-mail Dawn. Arrive at Leawood Theater and assist staff in setting up raffle, membership, merchandise, and other tables. Help hang banners. Assist staff in packing up materials and loading into vehicles. Stand at entrance and greet all guests, answer any questions anyone has, direct to theater and outreach tables. 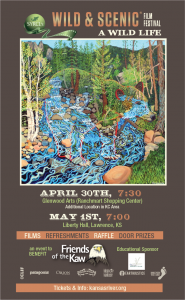 Collect payment for any Friends of the Kaw merchandise sales. You will be trained on taking payments. 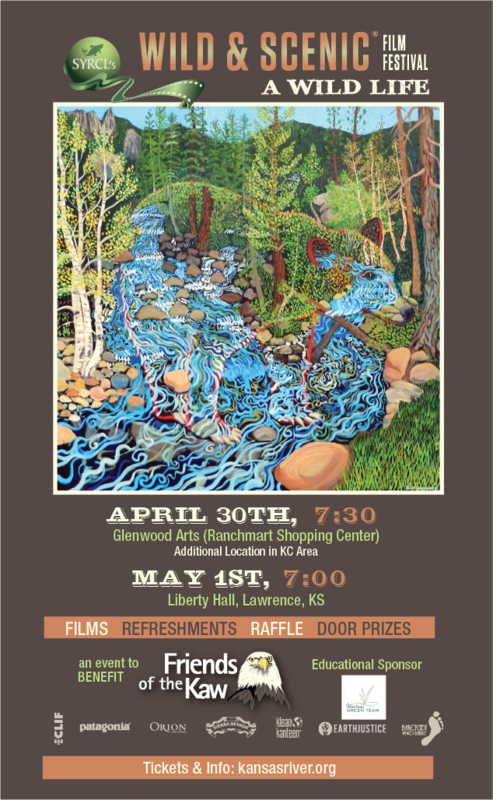 Man the outreach booth and hand out membership forms, river maps and just talk about the Kaw! Register attendees for door prizes and sell Kayak Raffle tickets to members for $10 each.